I have walked with the spirit for 30 years. I have been healed of cancer, and can walk, long story but miraculous. This carrying on and caterwauling does not resemble anything I have experienced or read of in the bible. In the 2000 years of recorded Christian History none of the saints experienced this. I find it very concerning. Thanks for your comment. Praise God for your healing from cancer. And praise God for your years with the Spirit. However, just as not every conversion experience is like that of Paul on the Damascus road, likewise, it is not required that everybody's experience with the Holy Spirit must conform to your own. 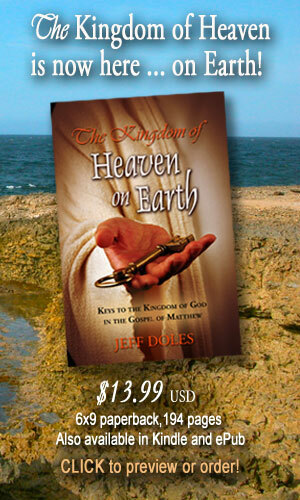 The Spirit of God has revealed Himself in a variety of ways in the Scriptures and in Church history as well. For examples of the latter, you might look to the John Wesley, George Whitefield and Jonathan Edwards, who each acknowledged unusual manifestations of the Holy Spirit in their meetings. The Cane Ridge revival in Kentucky at the beginning of the 19th century is another example. 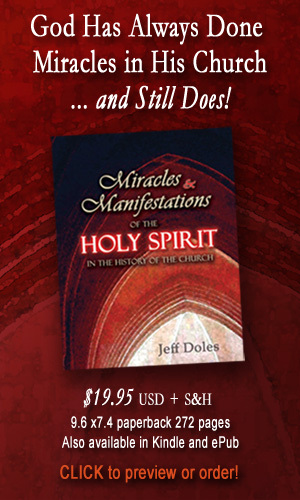 I have included accounts of these and others in my book, "Miracles and Manifestations of the Holy Spirit in the History of the Church." In addition, the "Holy Fairs" of the Church in Scotland in the 1700s, which were celebrations of the Lord's Table and initially served as the model for the Cane Ridge revival, also saw many unusual manifestations of God's Spirit.